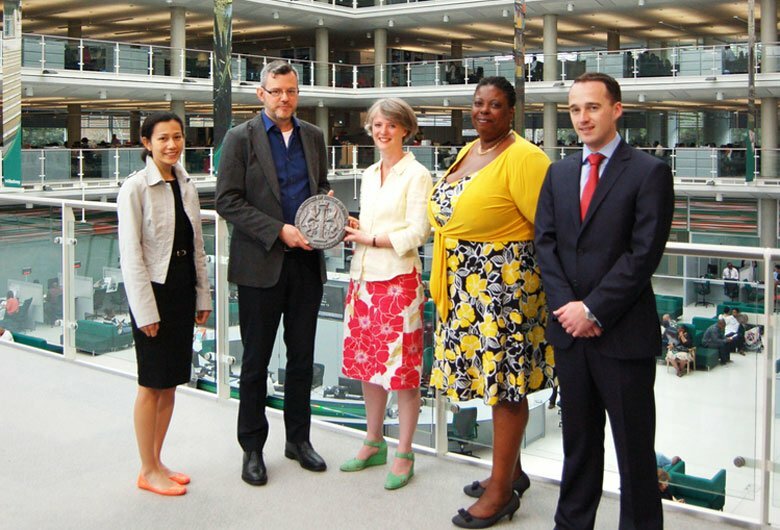 On 28th June, Hopkins Partner Ken Hood presented the RIBA Award plaque to our client Cllr Sophie Linden, Deputy Mayor and cabinet member for Customer Services. The opening of the Hackney Service Centre last year marked the project's completion. The new building consolidates the public front office for the borough together with accommodation for 1,200 staff. At its heart is a five-storey atrium, under a splendid new roof with a vast array of integrated photo-voltaic cells, which contribute to the buildings BREEAM 'Excellent' performance.